Photo thanks to Martin Ingle. Taken at Ruckus Slam December 2013. Many people continue to turn a blind eye to the Brisbane poetry network, often regarding it as boring and pompous. The greatest misconception being that poetry is not a part, nor worthy of being a part of the Pop Culture scene. This stance needs to change, but so does the scene. 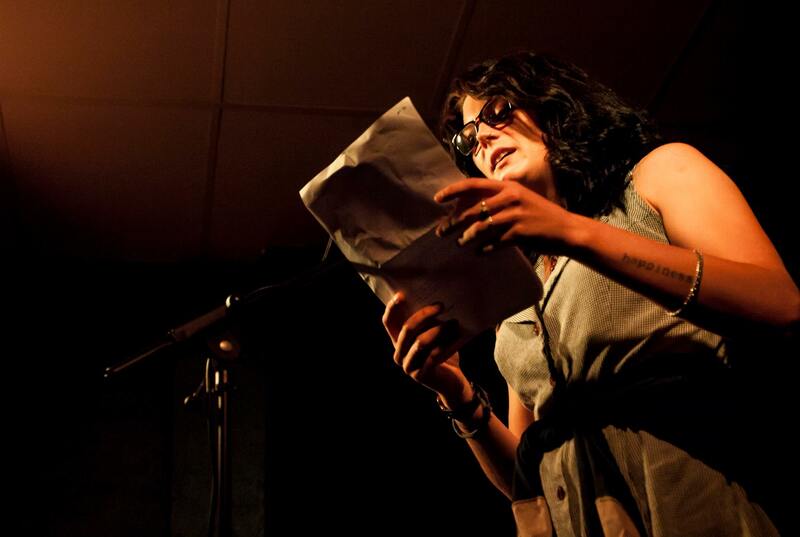 Spoken Word, in particular open mic nights are seldom found in Brisbane and arguably Australia. However, what is on offer, does not feign quality or intrigue. Yelling and foot stomping and galloping and awe-inspiring words and humans and minds, are the bones of the atmosphere. There is a boy in Brisbane who brings his guitar and reads amongst his own sounds. There is Kiera, a bearded trans lady who rhymes each simple sentence she writes with expression that tells a clear story. It is a special occasion to be surrounded by like-minded humans sharing a part of themselves. It is saddening to see fewer and fewer punters and watch the rooms creep quieter and quieter. The anticipation and acceptance of poetry, both written and spoken has seen a dramatic decline over the past few decades. Now there is a lack of those with the desire to promote quality and creativity through public appeals and therefore progress culture and talent. Is it a coincidence we find ourselves in the midst of one of the greatest social rivalries to date, analogue v digital while our appreciation for the arts in its natural state dwindles? Well, that’s another argument for another article. But the present day poetry scene of New York is at its most inspired and sought after. There is no shying away or discrimination or anti-minded humans with a scrunched nose and raised eyebrow. It is as much of a community as the Super Bowl is today, as it was 50 years ago. A leaf from a book Brisbane desperately needs to read.